Anker has long been our readers’ go-to manufacturer for inexpensive mobile phone accessories, but now they’re stretching their tentacles into higher-end markets, and you can save $150 on one of their most ambitious products to date, today only. 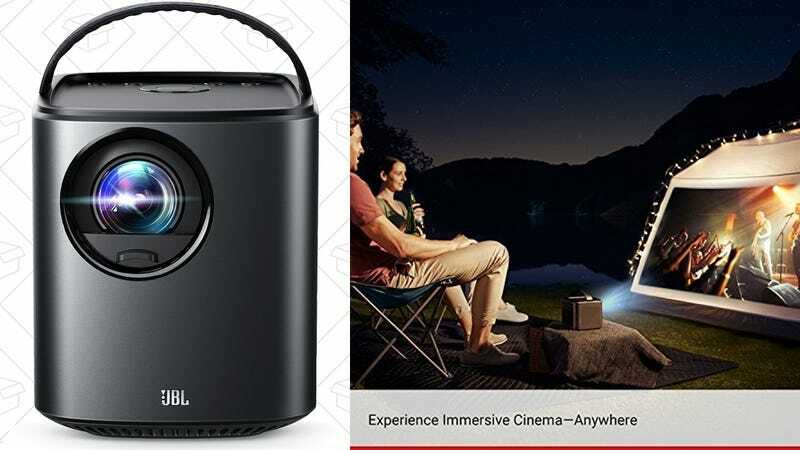 Marketed under their Nebula home theater brand, the Mars Portable Cinema is a projector that you can take anywhere. Packing a 19,500mAh battery, the Mars can project a 150" image at 720p for up to three hours away from a power outlet; more than enough for an outdoor movie night, or even a watch party for a big game. Its built-in JBL speakers should also be sufficiently loud and clear, but you can of course plug in any sound system you want with a 3.5mm cable. The Mars even runs Android (a weird version of it, admittedly) with support for a few popular streaming apps. But of course, any streaming stick like the Fire TV Stick can plug right into its HDMI port, and utilize the Mars’ USB port for power. And if you have an iPhone or iPad, you can even skip all of that and stream your content directly to the projector over AirPlay, no Apple TV required. Today’s deal is $150 less than usual, $50 less than Prime Day, and the best deal ever. It’s only available today though, and could very well sell out early. 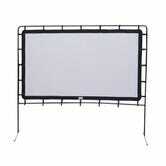 If you’re going to turn outdoor movie nights into a regular occurrence, you’ll also want to invest in a good screen. There are tons of outdoor-friendly options on Amazon, but Camp Chef’s seem to be the most popular.